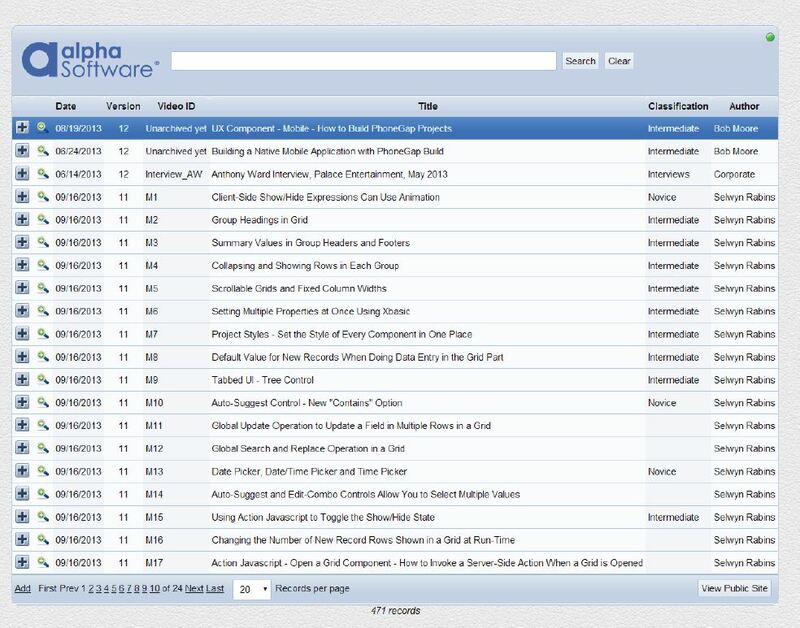 The background behind the Alpha "video finder" designed as a responsive web and mobile application in Alpha Anywhere. 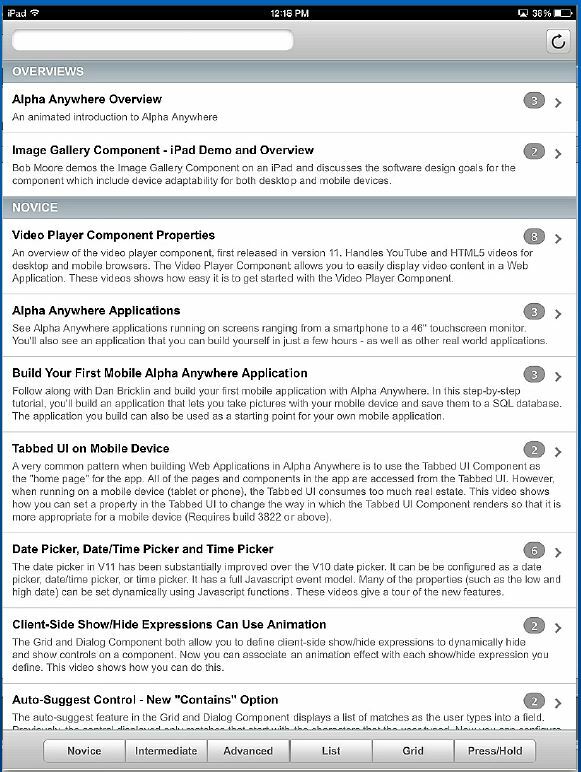 In an earlier blog we talked about the new Responsive Application created in Alpha Anywhere and our CTO Dan Bricklin has written about "responsive application design" on his blog. 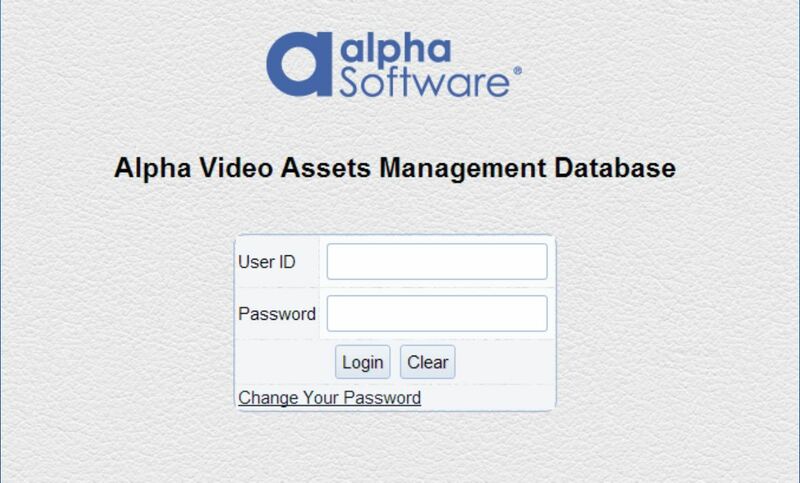 An example of responsive application design is our new application videos.alphasoftware.com which is designed to rapidly find the exact video or videos that you are looking for, from almost 1000 Alpha Anywhere videos. 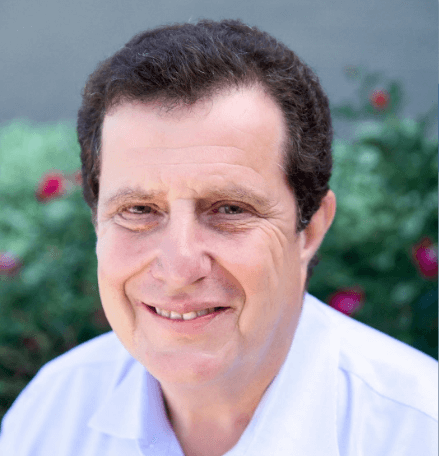 It should be noted that the application will respond and adapt to the device that you are running on - be it web or mobile and Alpha Anywhere will present the appropriate user interface to the user. 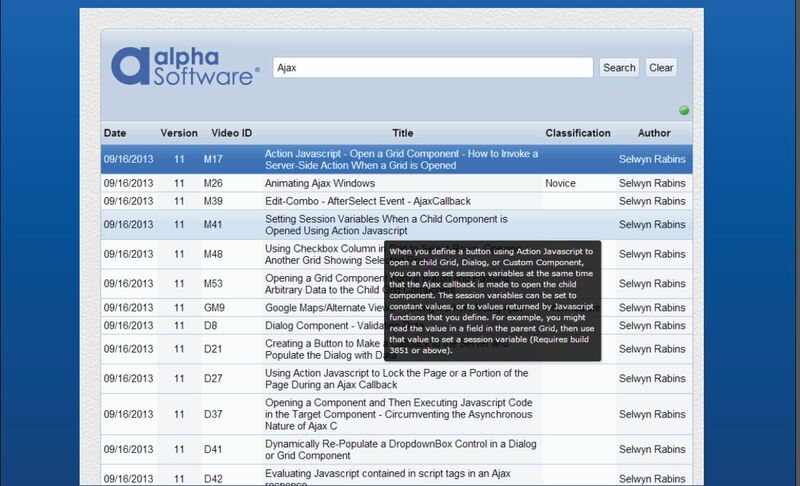 Make it easy for developers to search through approximately one thousand Alpha Anywhere instructional videos to find specific video instructions on any topic of interest. Must play at high resolution with minimal latency on both desktop and mobile devices. Must be secure and offer an easy to use administrative front end. An adaptive custom application built with Alpha Anywhere and Microsoft SQL Server With Video Hosting and Streaming Handled By 3 Custom Video Components using API’s from Viddler, YouTube and Vimeo which provides redundancy should any one service experience network congestion, high latency or service failure. 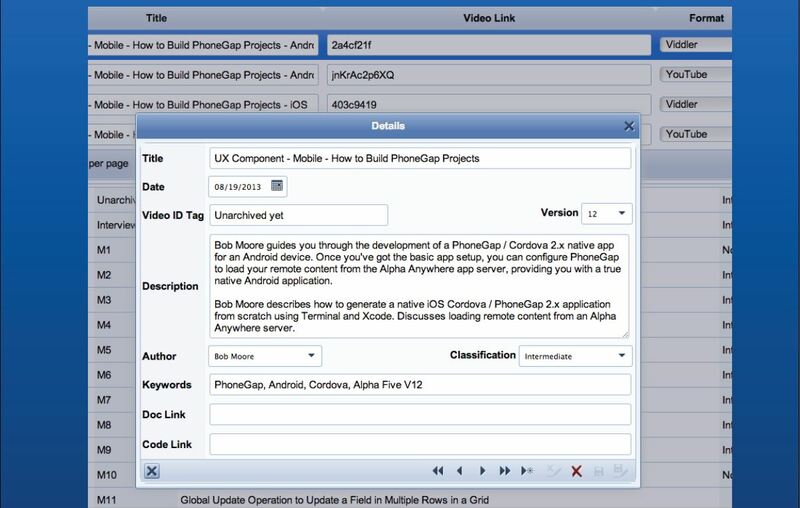 Administrative UI lets you: Easily add, change, delete and search videos. 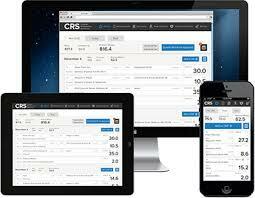 App automatically adapts when launched on a mobile phone or tablet. Touch interface, momentum scrolling, programmable search buttons. Simple, programmable search buttons in the panel footer allow users to enter and save commonly used search terms. One topic may include multiple videos. Video can play within the app or full screen. iOS devices can display videos on external displays using AirPlay. UI when launched from a desktop browser provides a rich, familiar interface based on an Alpha Grid Component. Instructional video played within a desktop browser.